2 hours walk East along the coast path from Lulworth cove. Looking West from the iron age settlement of Flowers Barrow. 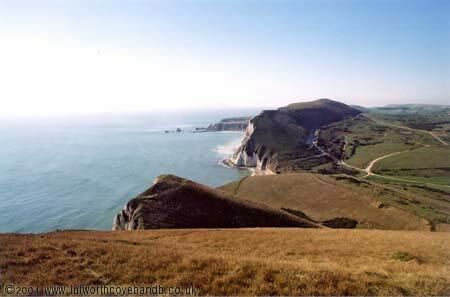 Bindon Hill, Mupe Bay and rocks in the distance.